Bloggers love Pinterest traffic. 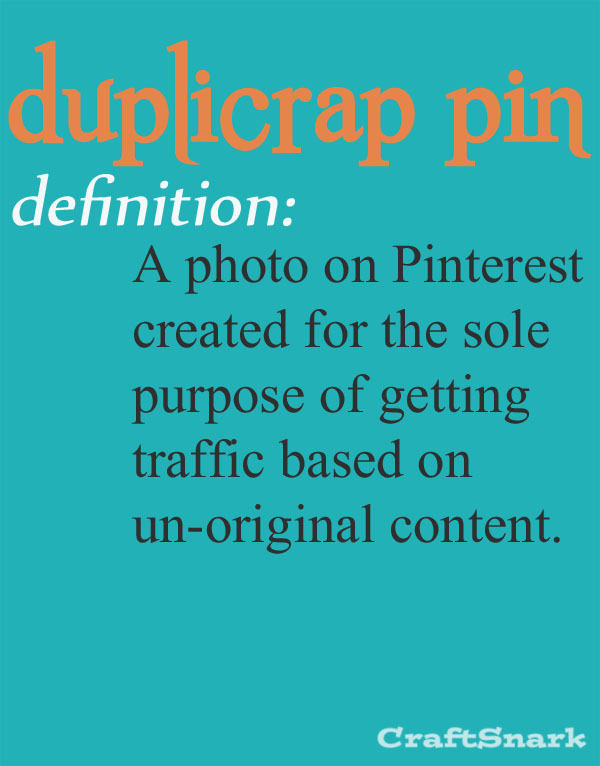 So much so that some bloggers copy content from other bloggers just so that they can get the Pinterest traffic. We agree that copying-and-pasting is wrong, so some bloggers try to hide in a grey area - duplicrapping. They re-create another blogger's post. Taking new pictures and altering text or tutorials to make it "their own." These duplicrappers are inspired by someone else, and create a spin-off based on the inspiration piece. They do not follow a pattern or tutorial, share a picture of their finished project, share their thoughts, and then link back to the original pattern or tutorial. 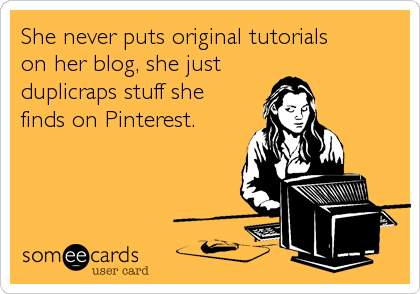 These are bloggers who have run out of originality, and troll Pinterest for their next great idea. 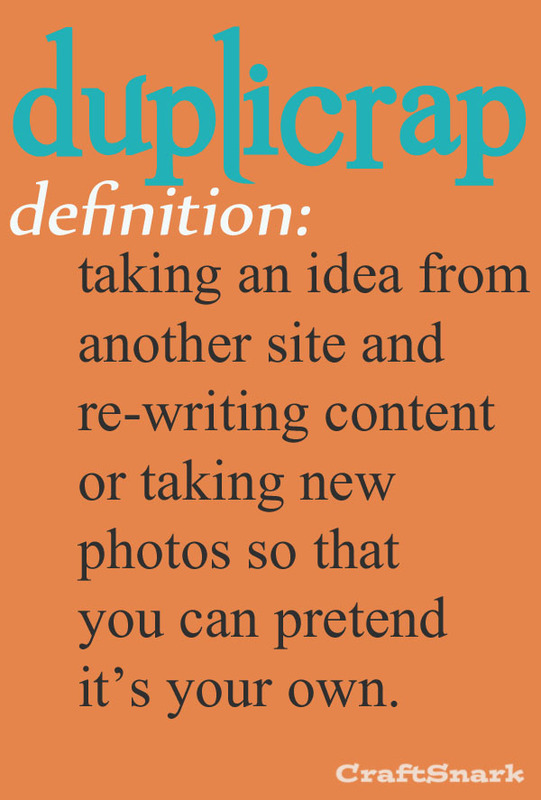 Before you get up-in-arms that other bloggers are duplicrapping your work, know that not every instance of similar posts is duplicrap. It IS possible for two bloggers to be similarly inspired. And let's face it - you are not the first person to think of adding glitter to a pillar candle. But when one blog shares images and a full set of step-out instructions (or creates a pinnable graphic based on the work of another), then links back to the "original" tutorial, that isn't creating content. That's duplicrap. Yep. I was duplicrapped on just today! I don't duplicrap, but I definitely pin other's idea's for my own future inspiration. Matter of fact, I am planning on building something, with a twist, based on a pin that inspired me. I would rahter post my own creations, even as lame as they have been so far than to be dishonest. FOR REAL! I hate most "mommy" blogs now because so few contain anything new or different: they're all just rehashing the same crap from someone else.